Online classifieds platform Quikr India Pvt. Ltd said on Monday it has acquired the Chennai-based operator of IndiaProperty.com to grow its real estate vertical. Bengaluru-based Quikr didn’t disclose financial details of the deal to acquire India Property Online Pvt. Ltd. The acquisition marks another consolidation move in a sector where new-age players are trying to disrupt how properties are discovered, bought and sold. In January last year, for instance, online real estate brokerage PropTiger.com and property listing portal Housing.com had decided to merge in an all-stock deal. 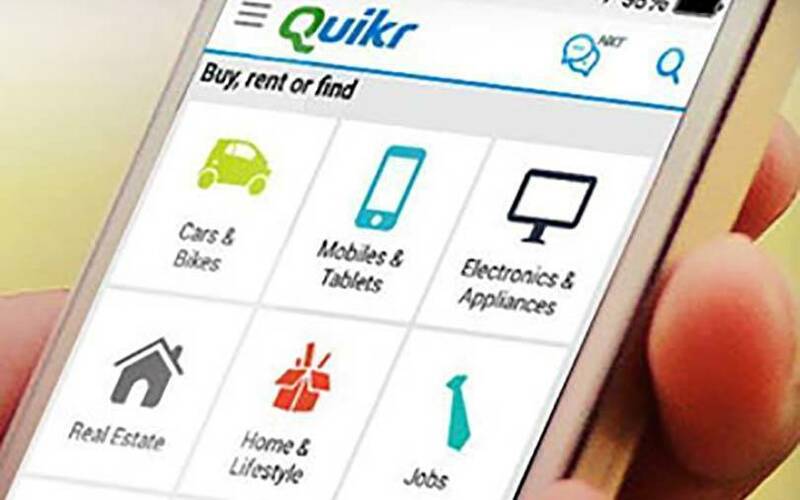 For Quikr, it is its third acquisition in the online real estate segment to expand its property listings business QuikrHomes. The company had acquired real estate portal CommonFloor in January 2016 and real estate brokerage firm HDFC Realty Ltd and HDFC Developers Ltd in all-stock transactions worth a total of Rs 357 crore ($56 million) in December 2017. The recent deal marks the end of India Property’s 12-year run as an independent company. The firm was founded in 2006 and was an early mover in this segment, along with Times Group-owned MagicBricks.com and Info Edge (India) Ltd’s 99acres.com. The Chennai-based company was spun off from Consim Info Pvt. Ltd (Bharat Matrimony group) in 2013 and had been looking to sell its real estate business for quite some time. India Property is backed by venture capital firms Bertelsmann India Investments and Mayfield. Its last fundraising was in December 2013 when it secured $12 million in a Series B round led by German investor Bertelsmann. Its early investors Canaan Partners and Mayfield Fund also participated in that round. In 2013, Canaan and Mayfield had invested $7 million in the company. Founded in 2008, Quikr has so far raised $350 million from investors such as Tiger Global Management, Kinnevik AB, Warburg Pincus, Matrix Partners, Norwest Venture Partners, eBay, Nokia Growth Partners and Omidyar Network. It last raised $150 million in early 2015 from Kinnevik, Tiger Global and Steadview Capital and fetched a post-money valuation of nearly $1 billion at the time. Earlier this month, Quikr had raised Rs 55 crore (around $8 million) in venture debt from InnoVen Capital. For the financial year ended March 2018, the company reported a 95% increase in its operating revenue and narrowed its net loss. YES Securities Investment Banking acted as the financial adviser for the deal. IndusLaw and S&R Associates were the legal advisers for this transaction, the Quikr statement said. News Corp, the main investor in the company that operates PropTiger, also owns the parent of this news website.